Arctic sea ice extent is now almost 50% higher than 2012, higher than last year, and about to pass all recent years. USN = Chauffeurs for the USMC. You don’t ask your chauffeur about weather. This is treason! You gave no trigger warning! Admiral Titley, a brave patriotic warrior for Gaia, was forced to assume a fetal position and is being treated by specialists of the Pentagon Safe Space Department. At the risk of repeating myself. 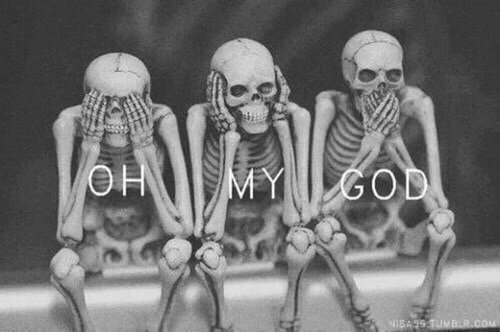 So what? What, if anything, does it prove? “At the risk of repeating myself”…your life/career is an echo chamber, we expect nothing less. What’s the difference between a catfish and a reporter? One is a scum-sucking bottom-dweller and the other is a fish. You lie Jim. It’s in your blood. When your lips move, a lie is forthcoming. You and obama are cut from the same cloth. You only fool the fools, you’re wasting your time here. Neither of you has any case at all. You are flailing about aimlessly in the wind. You do have to wonder what the two clowns think they are achieving. It proves that so called Arctic experts have been wrong for many years about their silly NO summer ice predictions. You are indeed that slow.Jimmy. It shows that the Arctic has no trouble still having over 4 Wadhams of ice left when it begins to regrow. Sorry Jim,there is still a lot of Arctic ice up there at this time of the year, a heck of a lot more than ZERO, which has been repeatedly predicted by so called experts, the last decade. Jim, and other misleading dishonest warmist people, who ignore a number of published science research, attesting that there were little to no summer Arctic ice for long periods of time, during the Climatic Optimism. Exactly what skeptics have been saying for decades. So, now that we finally agree, will you please stop sacrificing 21,000 innocent humans each and every day? So far your answer has consistently been a resounding “no”. 2012 was an unusual year, the reason for it being so low was a large storm that happened just at the time when melt was at it’s maximum. So it disrupted the ice and then the broken up ice melted out most easily. It was … weather, not climate. Hence why you got the biggest melt in August ever … which is just as irrelevant as the biggest freeze up in September ever. Or since 2012 when DMI started this graph. Which is less than 5 years. Taking one month extremes, either way, is not good science, you have to look at yearly trends, not monthly outliers. Lets see where the extent is 1st of December. That’s the point when everything normally comes close together, no matter what the summer minimum was. You missed the point Tony was making,which is that Summer ice is still around, to help the fast refreezing of the region. Warmists has for years now, keep making predictions of disaster for the region,especially that ALL the summer ice would be gone. Yet here we are almost a decade later,summer ice levels have stabilized. 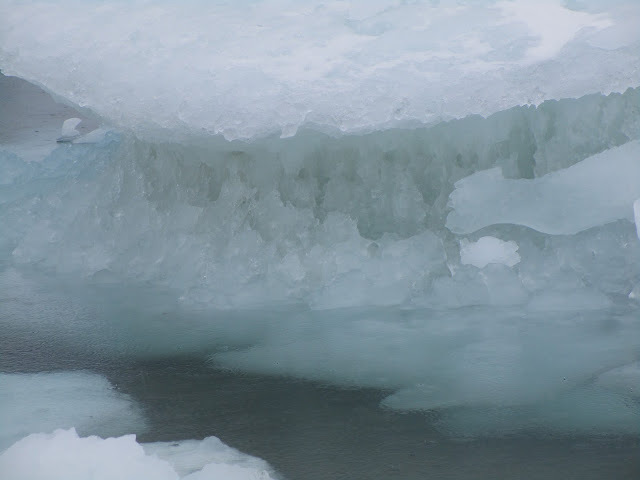 Summer ice is still around every year since records began which is more than one century back…. how does this summer ice help the fast refreezing? You posted an average from 1979 to 2000 and then from 1981 to 2010,which has NOTHING to to what I was talking about.Which was from year 2007 to year 2016. This mean from year 2007 to year 2016. 2016 which is HIGHER than 2007 is obvious to anyone, who doesn’t think dishonestly. Not only that Summer ice never melted awayto zero, as stridently predicted by warmists idiots, for the last 10 or so years. They have been waaay off on their dooms daying for at least a decade now,but their apologists like YOU and Jimmy boy,keeps muddying the reality with your petty bullcrap. You never mentioned 10 years in your last post, how was I supposed to guess you had that in mind with your stabilized values? You have cherry picked a really low year as a starting point it seems to show stabilisation. Err …..
2007 was an unusual year like 2012. An abnormal amount of sunny days plus warm southerly winds, which melted and compressed the ice extent, meant it is another year where it was weather that had the major effect and not long term trend. You don’t have to be dishonest when you can easily check the facts. Try it sometime. Summer minima has not stabilised. It has gone lower and lower, some extreme years mean it sometimes bounces back the next year, as would be expected, but the trend is still down. “You posted an average from 1979 to 2000 and then from 1981 to 2010,which has NOTHING to to what I was talking about.Which was from year 2007 to year 2016. Lets go ahead an accept your claim that 2007 is statistical tie with 2016,it still supports my claim that it has stabilized since 2006. Probably why Jimbo likes him. 2016 is an unusual year too. Despite being hit by the effects of a large El Nino early in the year it held up, with a short melt season and a very early low point, followed by rapid growth. And no one should not look at one point, one should consider the average trend, which since the AMO topped out is basically ZERO. Jim’s right. As the extent tends to compress together on the re-freeze, years with lower summer minimum will put on a faster rate of growth. That’s because the ice edge is further north than in a year where it is further south. Also, I’d like to point out that just using one ice graph and not more, or even better, multiple data sets from different sensors and algorithms is not ideal. We all know what happened last year on here when we had a massive increase in one graph compared to all others, including another from DMI…….. DMI changed the algorithm and did not tell anyone. It was obvious though, and got more obvious with time. 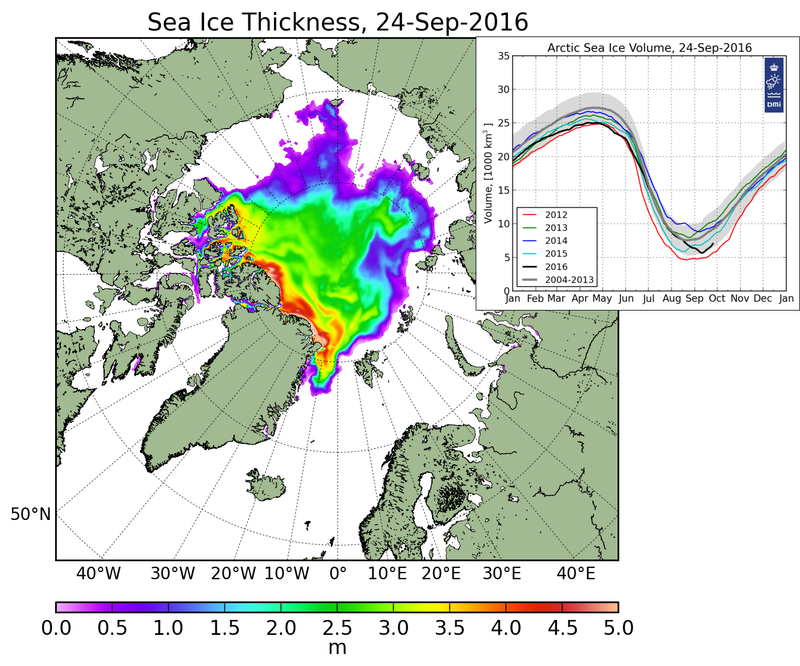 Arctic sea ice extents should be taken as a trend, not monthly or even yearly, due to errors and weather. I would have thought this idea would be supported on a skeptic climate blog ! Seems not, too busy trying to prove a point by grabbing “favourable” data. 2007 and 2008 are bad years to pick from a starting point as they were abnormally low. It favours your argument on it being stabilized. What happens if you take it one year earlier ? Ha ha, now comes Andy’s moving goalpost comment. He fails to realize that 2007 to 2016 is TEN years. All other years are clearly higher except 2012. It is a flat trend, Andy. The downward spiral has stopped since 2007.That is a fact that your own link showed. Jeez Andy, one year in a multi-decade cycle? Or, maybe you’d rather compare one year to the ~15000 year climb out of the last glacial period? Accurate records of arctic ice before the 70s do not exist. Tony Brown has some good info on, uh, unprecedented arctic warming in the 20s and 40s (during last AMO peak). years with lower summer minimum will put on a faster rate of growth. Not exactly, Andy. The sea-ice was spread out by the storms, with a long branch down south to Barrow, a second branch south to the west of Wrangle Island that the good ship Northabout had to duck south of, and a third branch that made it difficult for the Northabout to even enter the Laptev Sea. That is three examples of the ice edge further south than usual. 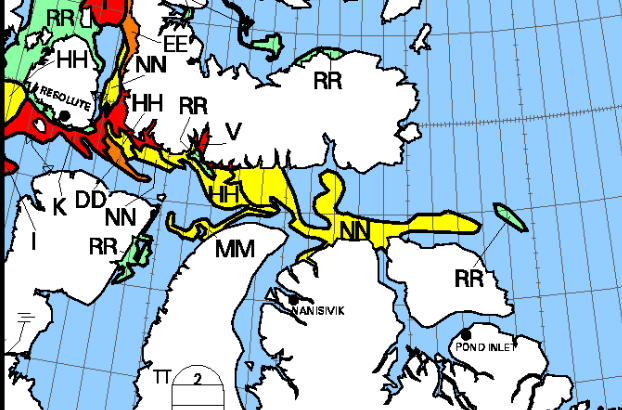 Then there were examples of the ice edge further north than normal, including a noticeable notch of open water far to the north of Bering Strait and briefly within five degrees of the Pole. In conclusion, your statement is a gross over-simplification. In actual fact the sea-ice was spread over a far larger area in 2016 than in 2012. It is only when one counts the pixels of ice, subtracting the pixels of open water, that 2016’s vaster area becomes nearly as small as 2012. Only then can one compare apples with oranges, if that is what one really wants to do. Only then can one miss the differences, if one prefers to be blind. No it’s not a gross simplification. It’s only just caught up with the finger of ice that stretched into the Chuchchi sea and still has not grown back to anywhere near where the Northabout got stuck. Flip between the two images from the minimum. You can see as I said the northerly extent of ice has just meant it has frozen more quickly . I bet it slows down now. Its growing much quicker in 2016 than it did in 2012. You are proven WRONG once again. Now more than 4.2 Wadhams above 2012 at the same date, and also higher than 2012, 2007,2008,2011,2015 and 2010. Is the Arctic sea ice ‘spiral of death’ dead? In the post, he shows the obvious stabilization of Arctic ice trend starting at 2006,using NSIDC data. Warmists needs to drop the death spiral crap, as it is not happening. So, less reflective ice does not mean positive feedback on warming and melting and other factors may have a greater effect. Could be. It will take time to sort out the driving forces. What he doesn’t say though is that it has stabilized, as you claim. Like 2007 and 2012. So taking those as start points is not a good idea. Yes, we should look at the general trend. which is ZERO since 2006 when the AMO topped out. 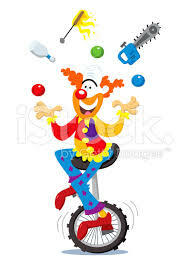 And guess what, clown#2, the AMO is now starting to drop. Tommy – Note that Greg (AKA Brave Sir Robin) rode off into the sunset in the general direction of WUWT before answering any of my questions. Perhaps you could answer them on his behalf? Q0. Are you aware that Halloween season has already begun? 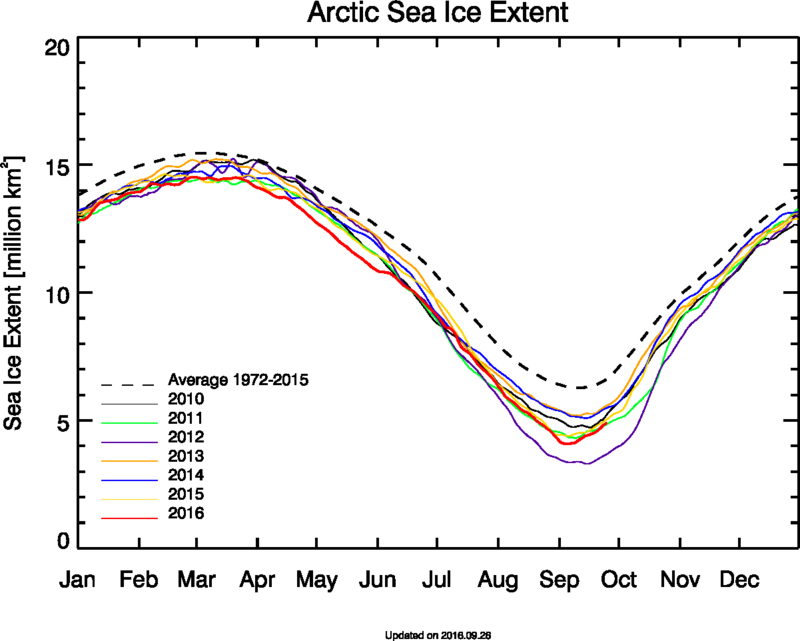 However your graph of sea ice area seems to stop in 2015. Why is that? Q2. 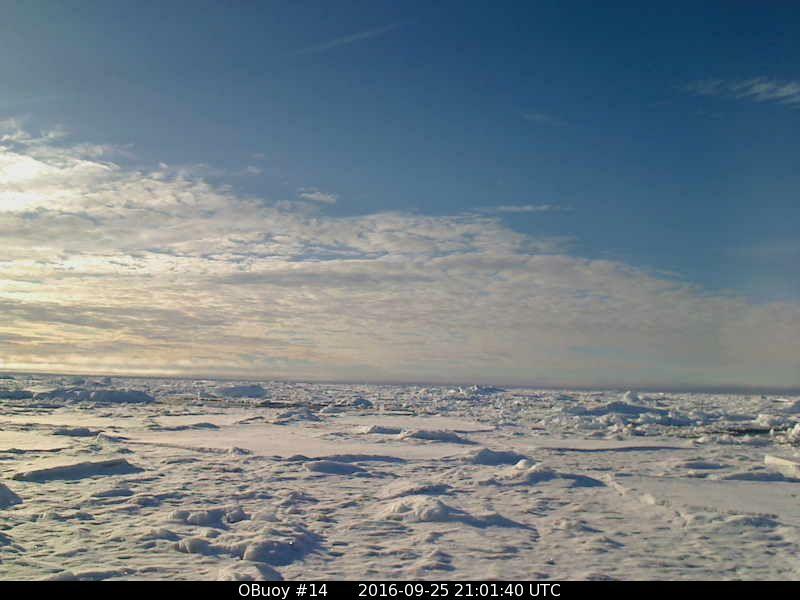 What evidence do you have that the sea ice is “Even 2.5 m thick over the geographic north pole? Have you seen my photos from the geographic North Pole this year for example? Q3. What evidence do you have for your implication that the Northwest Passage must already be “freezing fast”? I see lots of sea ice. With people standing on it. And an ice breaker of sorts. Maybe they are out hunting for Jimbo’s Examiner article ! Although the sewer would be a better place to start. That would contaminate the sewer! LOL! Can’t you see any water Andy? Jim, you know that is an Ocean? Right? It sure looks like an ocean to me. However according to Andy it’s covered in sea ice 2.5 meters thick. And I am sure it is in places and thicker in others and thinner in others! Currents push the ice around, it melts in the summer and grows in the winter like it naturally does! Sometimes you have more ice sometimes you have less. 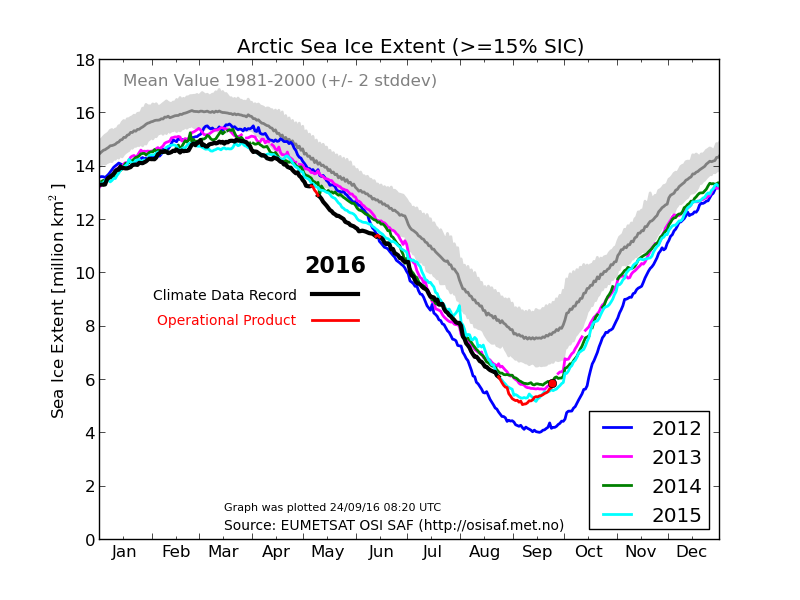 You better hope the ice extent doesn’t keep growing there though! Because like you people keep avoiding the south pole with the ice groth there, the land mass is covered with ice, making it colder there. Here in the north it is an Ocean surrounded by a lot of land that that big ball in the sky warms up every summer! Get it? There was a lot less ice around the North Pole this year. 0 meters of ice over vast areas. Really? you want to stick with that story? What did I say before about that Ocean? Me guesses it doesn’t matter what I said, you and your kind just want to push your agenda that all hell is breaking lose and everybody needs to pay a tax because of your warmist meme du jour! That’s basicly it isn’t it? Russians seem to think so too. Got to keep the funding going! Eh? Don’t want to see that melting away! Eh? Considering you normally complain about the satellite record being too short term compared to the Holocene, quoting a weekly value is some flip flop ! Poor clown#2. Doesn’t understand basic cycles. Back to clown school for you. And yes, it is VERY high compared to most of the Holocene. 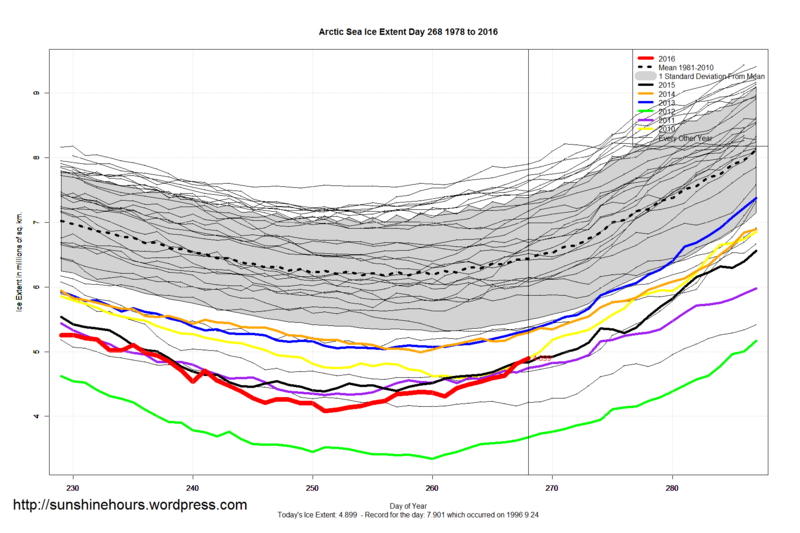 But don’t worry, don’t frown, clown..
You are doing a great job showing JUST HOW QUICKLY sea ice is growing this year. Still pleading for visitors.. PATHETIC WHINING. Bet you keep count, don’t you Jimbo. Maybe you even get paid per visit or something. Got that link to an Examiner article of yours yet , Jimbo? Again it doesn’t matter, you will take a win when ever it suits your needs, while all the other times failed. That’s what now 1 out of how many tries again? And when the Ice extent was at is’t lowest I didn’t hear about any successes then? And again, Istill wouldn’t call it a win, since they needed to use fuel oil to accomplish their mission, ya know that stuff you people are against because it causes man made climate change err something to that effect? Still totally blocked, hey Jimbo. 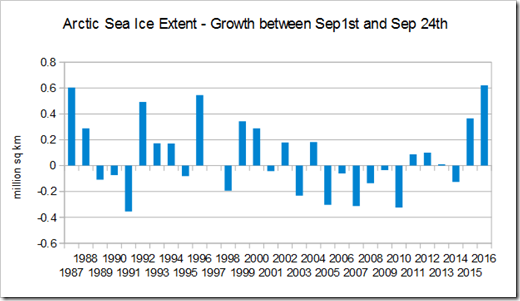 FASTEST September sea ice growth since daily record commenced in 1987. For some reason Tony’s been neglecting Bremen Uni data recently. Why do you suppose that is? Gees , Even Bremen is climbing rapidly. Did you notice before you posted , Jimbo, or are you just trying to help even more. Maybe we should use NSIDC. which sees day 268 2016 higher than 2012, 2007, 2008, 2011, 2015 and 2010. How are your sewer ladened socks tasting, Jimbo? Perhaps you should try taking your foot out of your mouth. You are the one flopping, because many warmists scientists have been telling the world, there should BY NOW be no summer ice left! Instead we have over 4 Wadhams left, and now increasing much faster than usual,which should be impossible since the AGW conjecture and warmists loudmouths keep telling us it supposed to all melt away and be much hotter by now. You sure wear blinders well,Andy. Andy, wrt Arctic sea ice.. The first attack of winter this year in Alaska. Barrow looks cold. Dust of snow, winds shifted to the north, mid-day temperatures right at freezing. Resolute was toasty yesterday though Caleb. And it will get very cold and unbareable without fuel oil up there? Poor Jimbo, always at least one of his stinking feet in his mouth. Look how quickly its cooling. Dropped about 6ºF in one day !! WOW.! Now that’s what I call COOLING !!! Doesn’t look like it all melted, or you be showing somethang different! LOL! Err if that is what ya say it is, but that is another story now isn’t it? And tiss funny with all that global warming as you all say, there is ice there still? Tiss funny how that works now isn’t it? Hey Jimbo, how thick is that ice in the picture, ???? How thick is Jimbo !!!! Ahhhh, he is thick, that is for sure. Here is a good one for ya! This is one of the official weather stations. Notice anything? Here it says what again for the forcast? It is an Environment Canada Weather Stration that is manned 24\7, 365 days\year! One of the coldest places I have ever been, and that was in 1998. The C130 wouldn’t start and we needed to stay another night there. And at the time I was stationed in Alert And it was almost as cold and if it wasn’t for fuel oil we wouldn’t be there. Ya know that fuel that ran things! But in Eureka, they still use Diesel, not kerosene. Plus some gasoline there still! Apparently it’s raining in Eureka too, which is a long way north of Resolute. Yep, and that is why they call it the jewel of the north! Right? fresh water on the surface of the ice and the sea. Nice, isn’t it! Like mosh pup, he is caught in a mosh too! Bwaaahahahaha! Andy, go easy on poor Jimmy Boy. It is very very hard being paid to lie and have the ‘audience’ laughing at you all the time. This shows graphically why a season with very low summer ice extent will always have a higher refreeze rate than ones without. I picked 3 high extents and compared them to last 3 years. whenever there is a very low minimum extent the ice growth is large. It’s just now it has happened in September and not October. It means nothing. Its how it works. People on here are claiming it means something, just as what you call warmists can do. 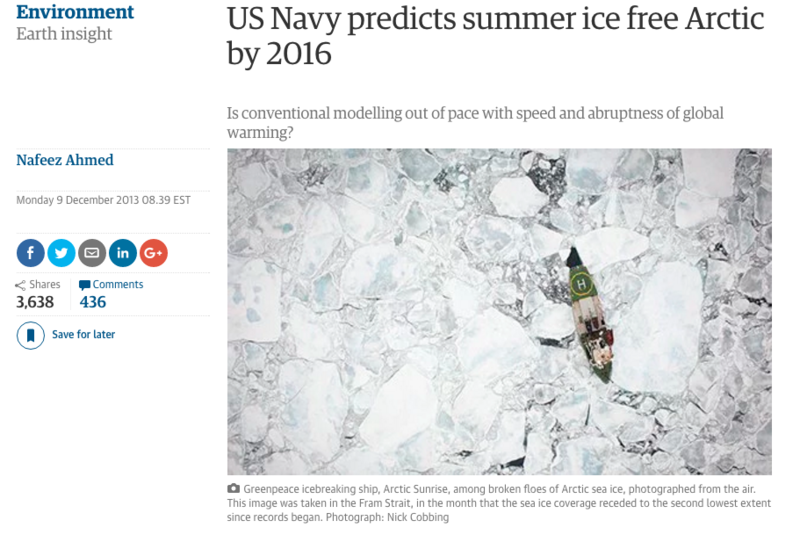 Don’t fall into the trap of using the Arctic to prove a point, it always fails….. even with scientists…. What is more interesting is the very low minimum for extent, even though this year there was not an unusual event weather wise like in 2007 and 2012. We still have to hear scientific reason for this. 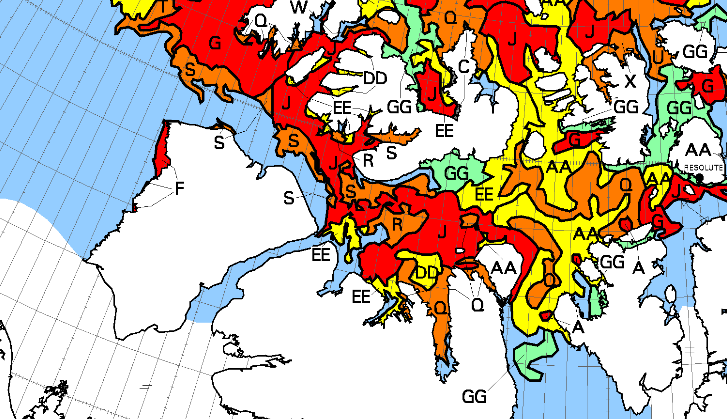 It will be interesting to see if the low ice extent over winter and ice thickness had anything to do with it. Past information has indicated winter extent has not much correlation. Other ideas are amount of melt ponds in May when the melt really gets under way. Lots of theories, no definite answers yet. You really are flailing about like a drunken clown, aren’t you. Even Mark Serreze remarked how cold and stormy last summer was. In August there was not one gale, there were two sub-969 mb gales. I can’t recall that ever happening before. Pay attention, for some surprising changes are at hand. Remember when Steve Mosher babbles about ,1 million is defined as ice free according to the IPCC text. Here is the actual text showing that he is a liar! km2for at least 5 consecutive years) in September is likely before mid-century (medium confidence). IPCC AR5 ( the word according to Mosh’ ) . So it’s a barefaced lie. 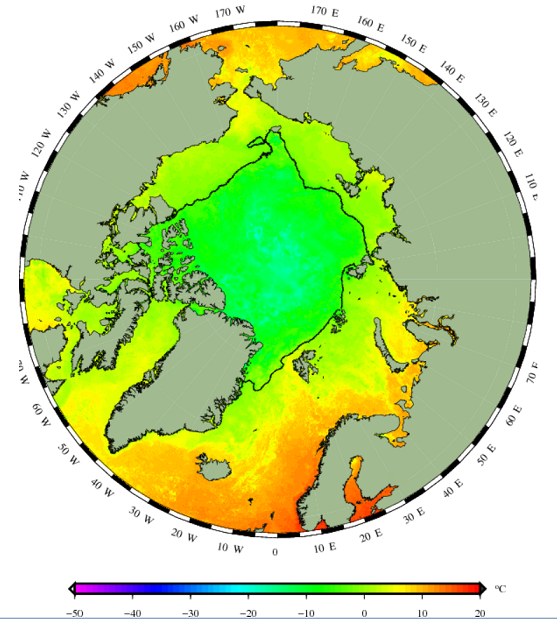 The IPCC repeatedly and consistently uses the term nearly ice-free Arctic . That is clear and even Joe Public will understand that this does not mean the same thing as zero sea-ice. There my friend you have blown it . 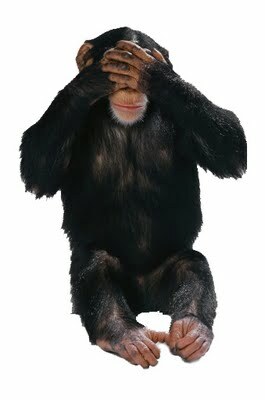 I don’t mind anyone having a different opinion and arguing a technical point but I do object to being lied to and trying to pull the wool over my eyes. Anyway thanks for settling the issue. We now know that the “official” meaning of 10^6 km^2 is “nearly ice-free”, not ice free. You have to remember that Mosh is nothing but a non-glorified used car salesman. 1 million km2 = 1 Wadham. 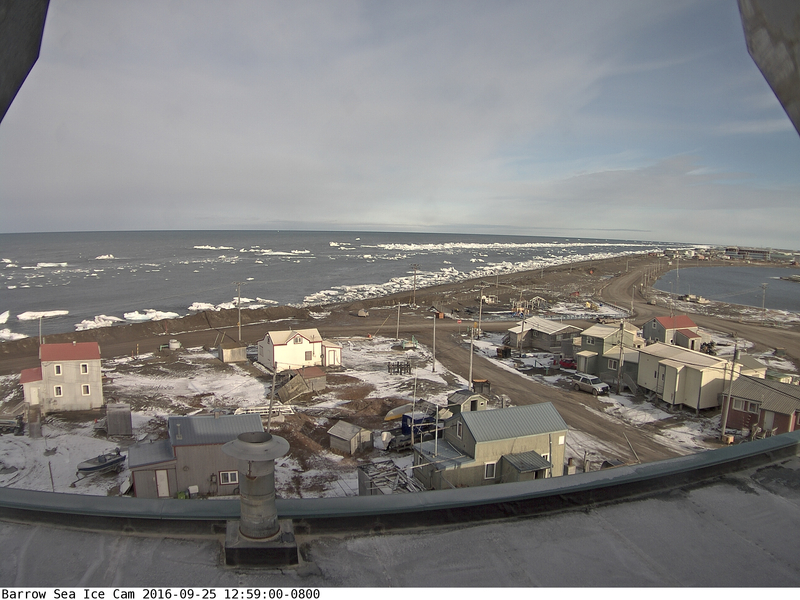 The south winds in Parry Channel have swung to the northwest, and the ice has stopped crunching north and is moving back south. Notice both the lead of open water and the piled-up pressure ridges in mid-distance of the picture from O-buoy 14. Temperatures back below freezing. I told Jimbo the clown that he needed to hurry if he wanted to prove he could paddle around Bass Island…. … but as usual, he just didn’t listen . O-buoy 14 overnight temperatures down to -6°C (21.2°F) again. Any exposed sea-water (including the polynya along the north coast of Bank’s Island) will be rapidly skimming over with baby-ice. Any multi-year-ice will be chilling from the top down, which halts basal melt. Nights are swiftly growing longer than days at the Arctic Circle, as complete darkness creeps south from the Pole. The plume of south winds that created the polynya on the north coast of Banks Island moved north of the Canadian Archipelago as a sort of feeder-band for an arctic low pressure. Its heat is rapidly lost upwards to outer space, as cold snows fall on the ice, and gales rip at the ice, creating leads which expose open water to the cold, chilling the waters and creating more ice than a negative AO’s high pressure would create. This observation differs from the assumption that plumes of mild air heading north will “slow the rate of growth” of the sea-ice. Even more remarkably, ice growth since the start of the month is actually the greatest on record, since daily figures started to be kept in 1987.
meant to put quotes around that sentence. sorry Paul !! Now see what I did to your best buddy Jim? Handle him the same and your problems will be solved! CHIMO! Well at least here it will be! LOL! have you seen the RAPID GROWTH this September? Top o’ the mornin’ to you too Andy! Of course I have. At the risk of repeating myself repeating myself. So what? How thick do you suppose the new ice is? There’s HEAPS of it Jimbo, and its growing rapidly..
Notice you haven’t been a hero and paddled around Bass Island yet. Except maybe in your own pitiful mind. 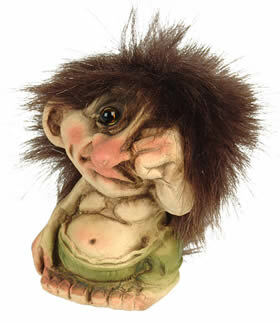 Poor widdle Jimbo, his CON is freezing solid. !! 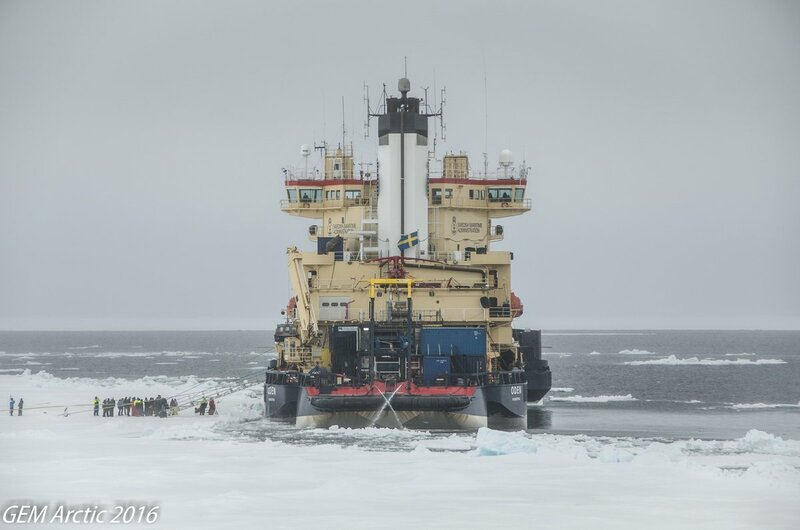 All blocked, except for the use of an ice breaker. And growing rapidly, WAY more rapidly than any of the last 10 years. Hey Jimbo, notice that sea ice In Lawrence has changed from green to yellow. Of you go then Jimbo.. prove it. or NOT. And still that plaintive pleading for someone to visit you lonely little sewer. !! 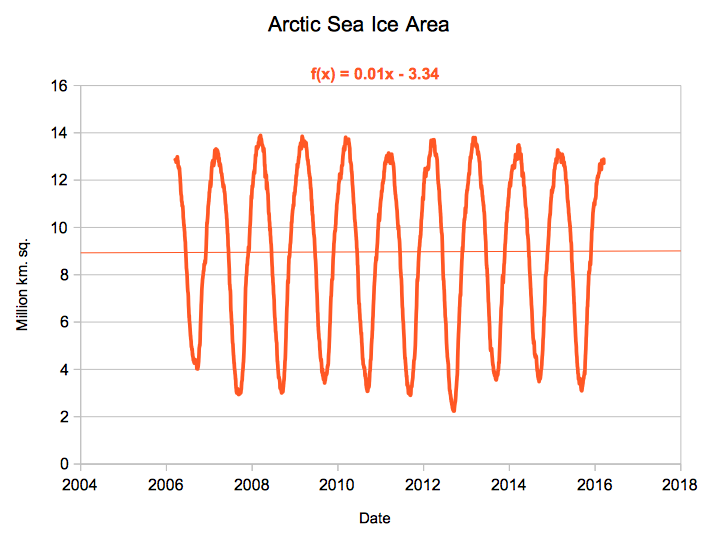 But as we all know, the Arctic sea ice area is now INCREASING RAPIDLY, far more RAPIDLY than previous years. At the risk of repeating myself repeating myself repeating myself repeating myself. So what? You said nothing before, you say nothing now. And as I said, I expect you to watch the RAPIDLY INCREASE sea ice.